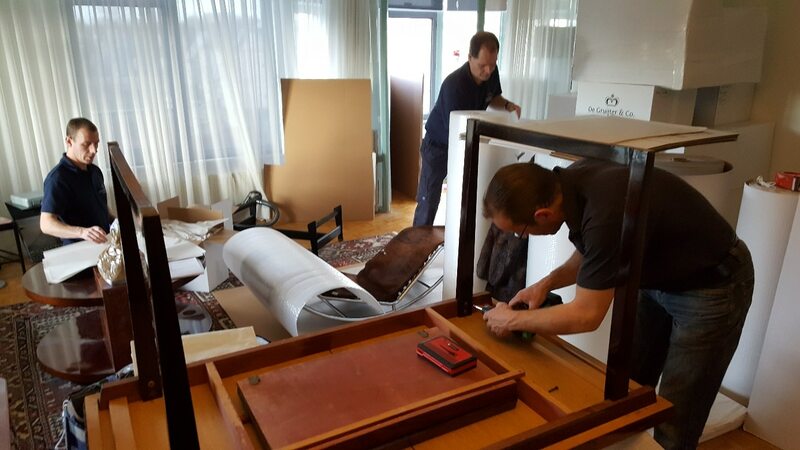 Royal De Gruijter & Co. is a moving company with a very broad range of services. You can call upon us to move your belongings anywhere in the world: the type of relocation in which absolutely no detail can be overlooked. We devote the greatest possible care and attention to all aspects, whether in our executive services, expat services or domestic moves. You can always rely on a fully professional partner able to meet your every requirement. Royal De Gruijter & Co. is also the ideal partner for specialist assignments, such as the transport of your art collection or other objects that demand particular care. We pride ourselves on our innovative ability and can always find a solution that meets your every requirement. Our regular customers include many leading museums and orchestras whose demands go further than merely transporting objects from A to B. They seek a partner who can oversee every aspect of planning, packaging and the use of appropriate climate-controlled vehicles. Above all, our customers seek a partner who cares about their valuable objects as much as they do. Our many years’ experience enable us to meet the most exacting requirements. Royal De Gruijter & Co. knows no boundaries and is not concerned about distances. Whether you are moving twenty kilometres or twenty thousand, we will create the ideal conditions and do absolutely everything on your behalf – even arranging your display cabinet exactly how it was in your previous home. It is no coincidence that our loyal and valued customers include so many multinational companies and members of the diplomatic corps. For international relocations, we offer the convenience of a global network. Our partners have different areas of expertise and serve different countries, but they all share our concern for quality and our desire for excellence.